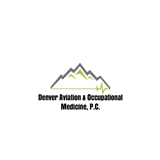 Denver Aviation & Occupational Medicine (Denver) - Book Appointment Online! Denver Aviation & Occupational Medicine's mission is to provide personalized, high-quality care on an as-needed or preventative basis. We have created a practice that we believe in and choose for our own family members. We are a full-service clinic with experienced physicians and staff who believe in working with our patients to maintain and improve their health. Our physicians believe in providing comprehensive health care services to our patients in a friendly, relaxed atmosphere. We also believe in educating our patients as we work with them to achieve the best physical state possible. The wait time was way too long. My appointment was 11 am but the doctor actually came in at 12:15. The doctor is professional and knowledgeable, but I do not have a time to wait like that again.